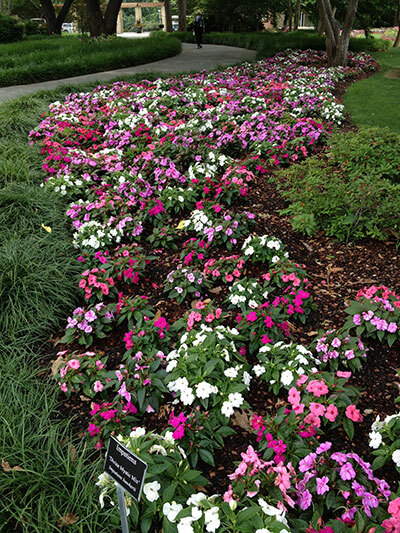 Affordable, high-quality shade alternative to Impatiens walleriana. 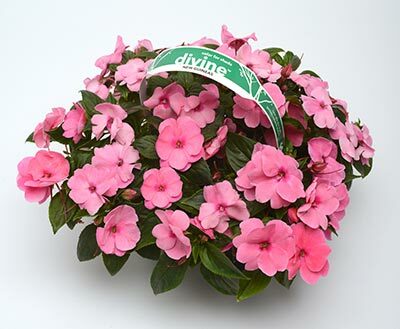 Divine has plenty of single colours and mixes with vigour to fill packs, containers, baskets and landscapes with brilliant colour. 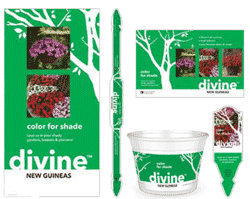 Easy ordering, storage, scheduling, and mechanization make Divine a must for your shade pack program. 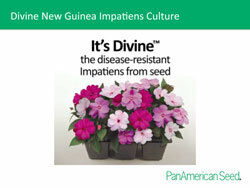 Posters and bench card signs are available … FREE from PanAmerican Seed. High-impact pot, tag and pack handle options are available from your preferred plastics supplier.